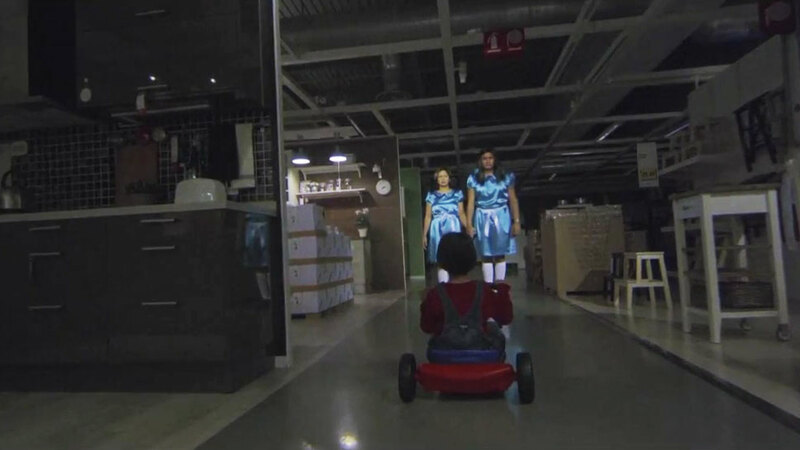 Heeeeeere's … Ikea's parody of The Shining! BBH Singapore reimagines the creepy hallway scene from Stanley Kubrick's 1980 horror classic in this spot-on 90-second Halloween ad. Instead of a haunted hotel, however, the little kid peddles around a spooky Ikea store late at night. Nice touches include eerily flickering lamps and ghostly diners in the kitchen display, and the word "REDRUG" above, yes, a red rug. It goes on a tad too long, just like the movie it's based on. The point of the spoof is that Ikea stays open late (until 11 p.m.) for your shopping pleasure, and it's also part of a social media contest to win gift cards. So, when you chop down your door in an axe-wielding frenzy, you can get a replacement for less at Ikea. Ikea has done plenty of scary-good promos lately, from hilariously pitching its 2015 catalog as "cutting-edge" technology (also by BBH Singapore) to inviting shoppers to spend a night in one of its stores to challenging them to climb this amazing outdoor apartment/wall. Assembling its furniture, of course, remains a frightening experience.